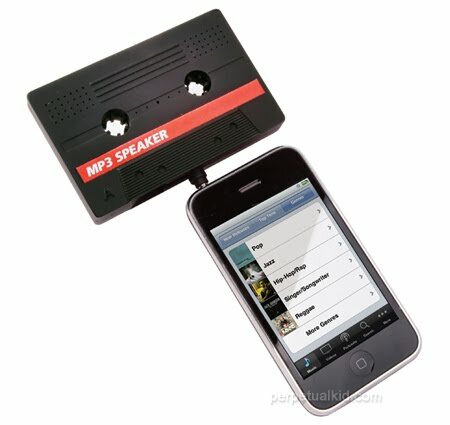 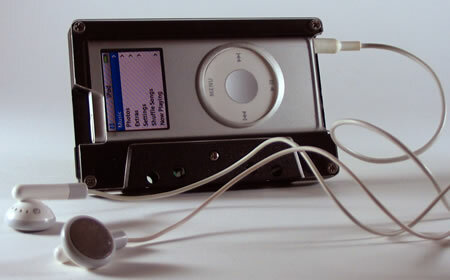 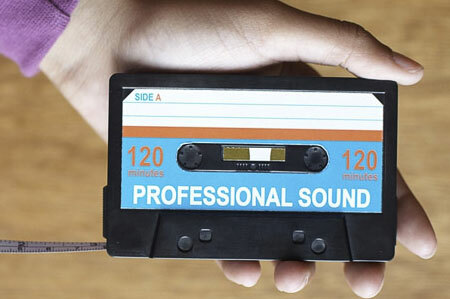 Cassette Tape Speaker: Connect it to your iPhone, iPod, Zune, or whatever you're using; compatible with any device with a standard 3.5mm headphone socket such as: MP3 players; PDA; portable systems & computers. 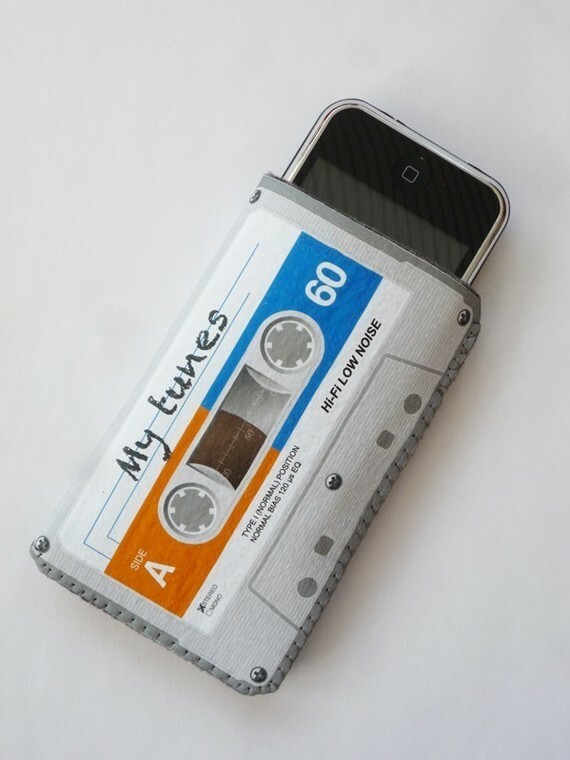 Cassette Tape iPhone Case: This hand-made cassette tape case will provide protection for your iPhone, iPod or any other smartphone. Hanitape An interesting way to store your money and credit cards. 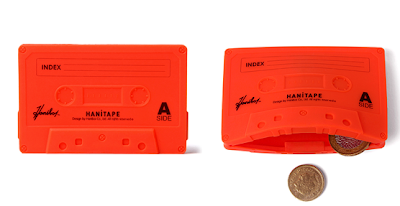 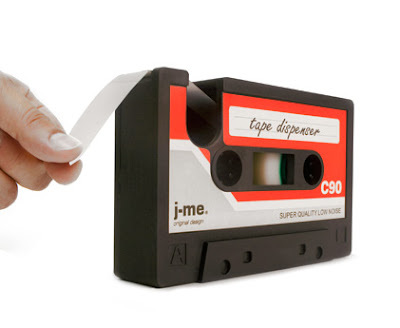 Cassette Tape Dispenser: Easy-to-use tape dispenser in the form of a cassette tape. 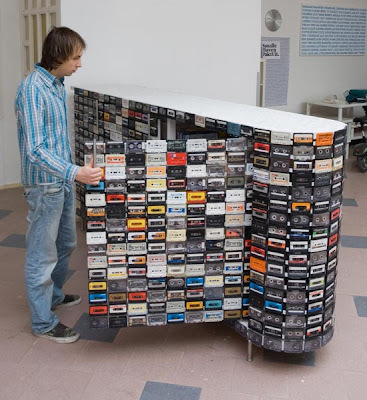 Sonic Fabric Cassette Tape Dress: "It's a textile woven from 50 percent used recorded audio cassette tapes and 50 percent cotton. 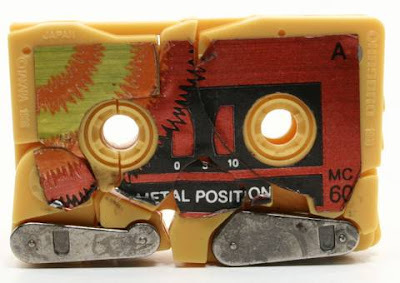 'The material retains its magnetism, and pieces made from it can be "listened to" by dragging an apparatus made from a tape head along its surface." 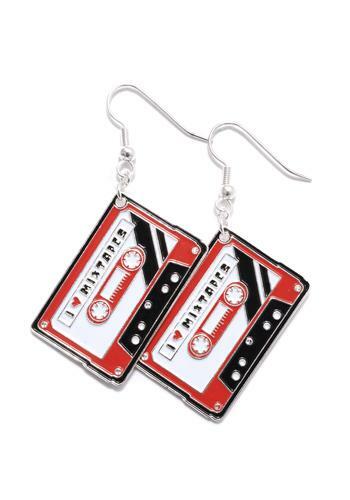 Cassette Earrings: Cool earrings created from red and black cassette tapes. 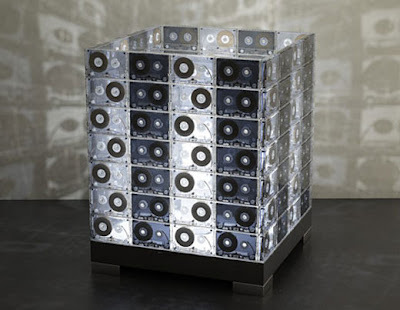 Cassette Tape Lamps: "The designers make each lamp from dozens of individual cassette tapes, arranged into visually appealing patterns." Cassette Tape Closet: Each of these 918 cassette tapes is individually fixed onto a wooden frame. 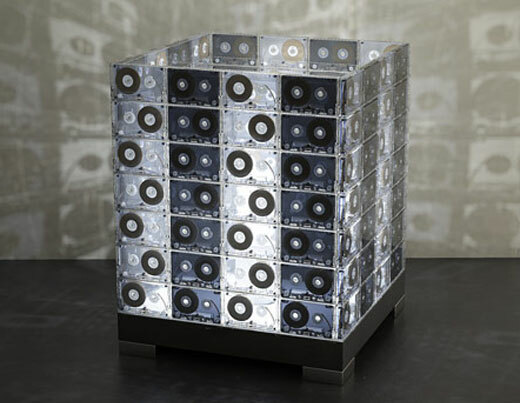 It's functional as office space divider and storage closet. 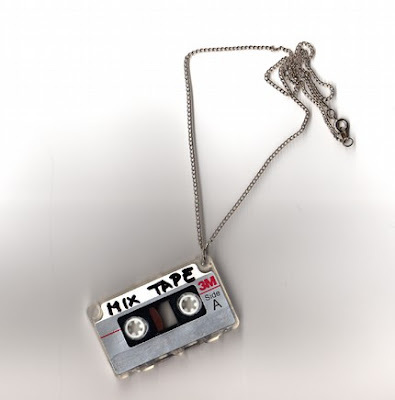 Mix Tape Cassette Necklace: It's surprisingly small; at 2.25" x 1.25" it makes quite a comfortable necklace. 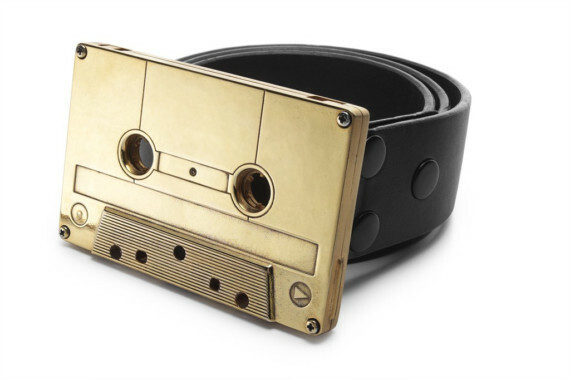 Cassette Belt Buckle: These belt buckles are made from an actual cassette tape. 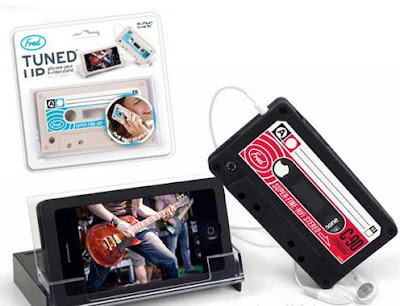 "Tuned Up" iPhone Case and Stand: This may look like an out-dated mix tape, but its offers state-of-the-art protection. 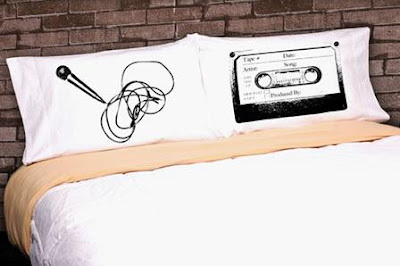 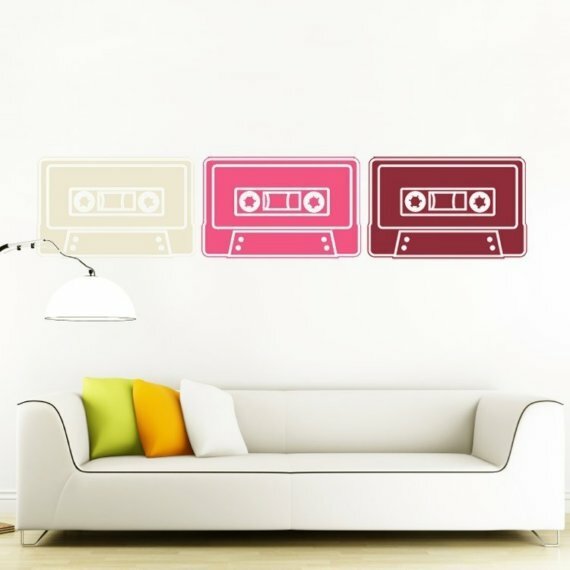 Mix Tape Pillow Case Set: It will bring a creative and playful alternative to your bedroom décor! Sonic Fabric Cassette Tape Tie: Sonic fabric is the invention of conceptual and sound artist Alyce Santoro. 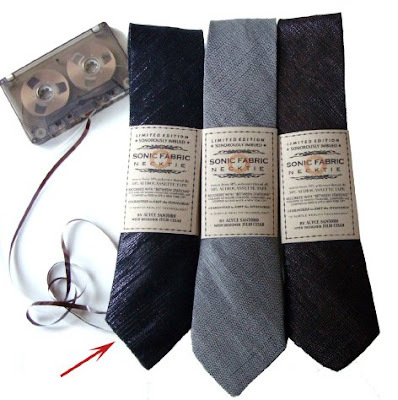 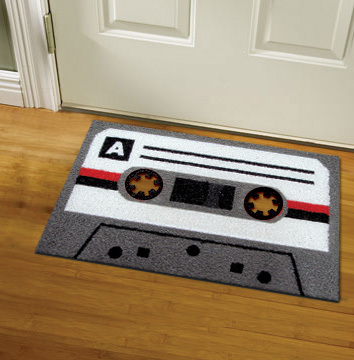 Its durable, beautiful, audible textile woven from 50% recorded audio cassette tapes and 50% colored polyester thread. 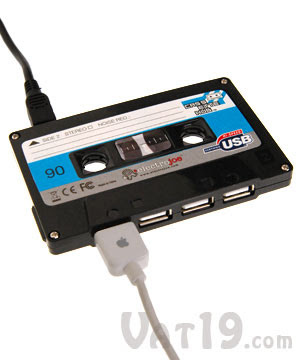 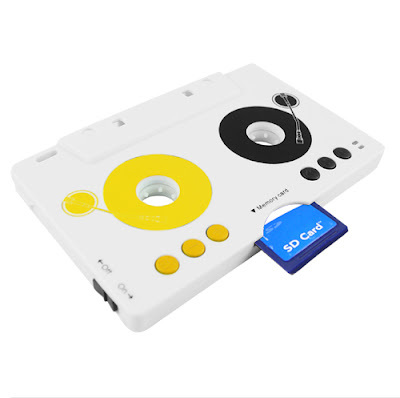 USB 4-Port Cassette Hub: It's identical in size and form to a standard audio cassette and also features rotating ribbon wheels. 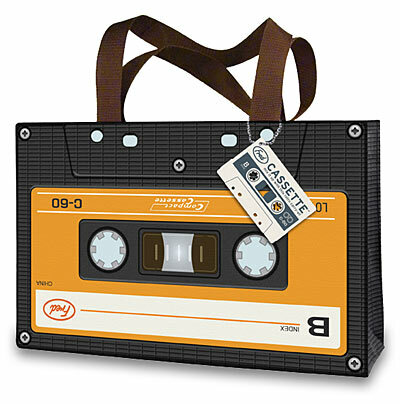 iPod Cassette Tape Cases: These cases are made from reclaimed cassette tapes like Denon, Memorex, Maxell and more. 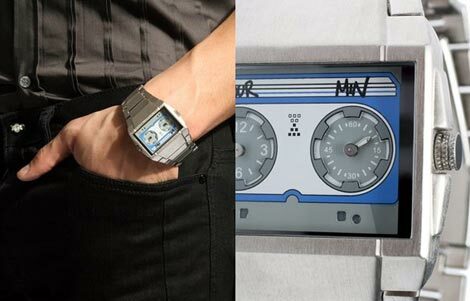 Cassette Tape Watch: This modern quartz timepiece that evokes the look of a cassette tape is by ASOS; one 'reel' displays the hour, the other shows minutes. 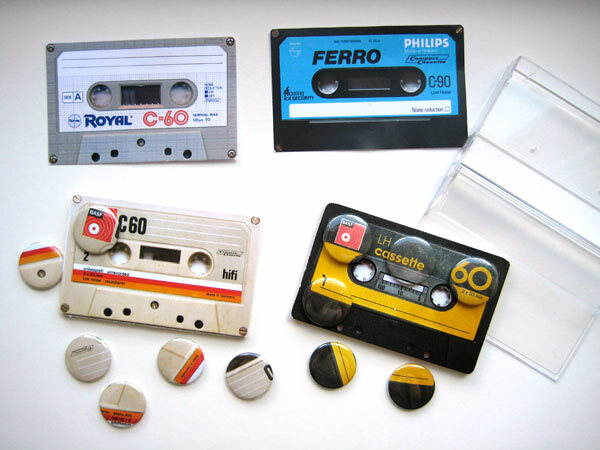 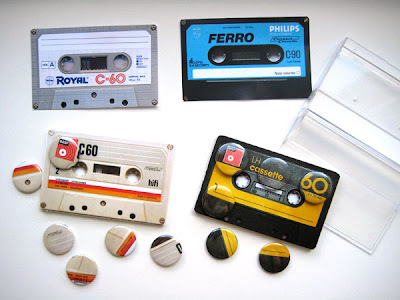 Cassette Tape Badge Sets: These are creative limited edition cassette tape button badge sets. 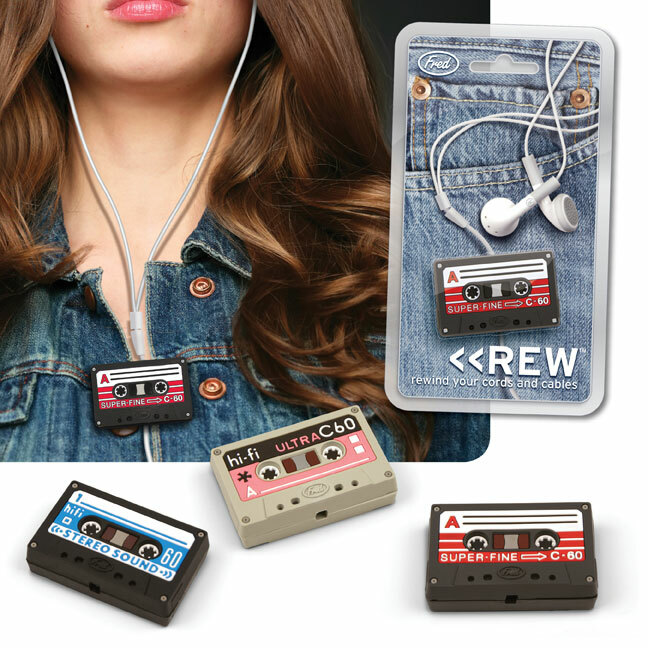 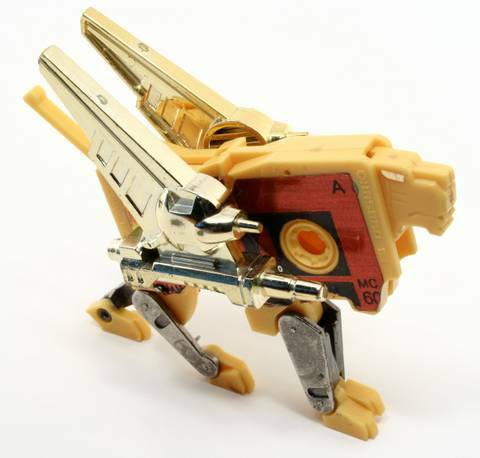 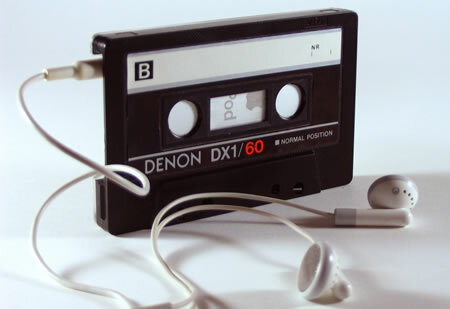 Cassette Tape MP3 Player: Standard cassette casing is used to build a MP3 Player. 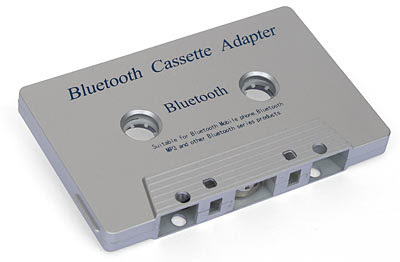 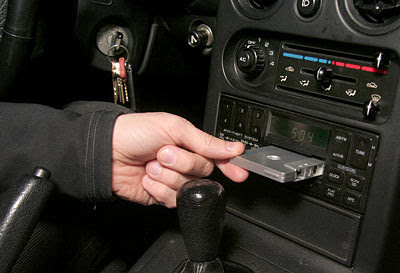 Bluetooth Cassette Tape Adapter: This handy Bluetooth receiver allows you to make and receive calls in the car with the built-in headset profile.